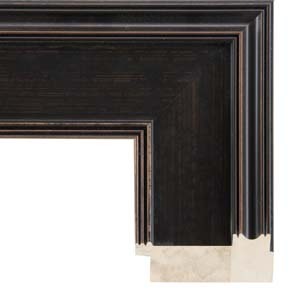 The interior design style of this colonial dark bronze picture frame is most complemented by subdued and subtle earth tones such as white, beige, and brown, and soars in a rich environment of sophisticated woods, dark wicker furniture, and green, leafy indoor plants. Art genres and themes that work well in this picture frame include prints, posters, and original fine art that feature luscious manicured landscapes such as golf courses and parks, along with illustrations and renderings of historical memorabilia, maps, and ships. Awards and diplomas are also a good pairing, especially for scholarly degrees in the social sciences and history fields. 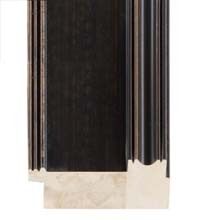 Matboard colors from our acid free archival selection that would be ideal complements to this dark bronze picture frame include Bruxelles 9853, Fossil 9511, Tusk 9516, Mocha Green 9826, Harvest Brown 9835, and Olive Branch 9532.